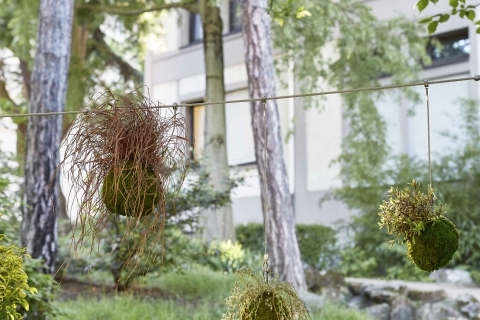 In the Japanese Garden of the Cité Internationale in Paris, the kokedamas are blossoming underneath the cherry trees. 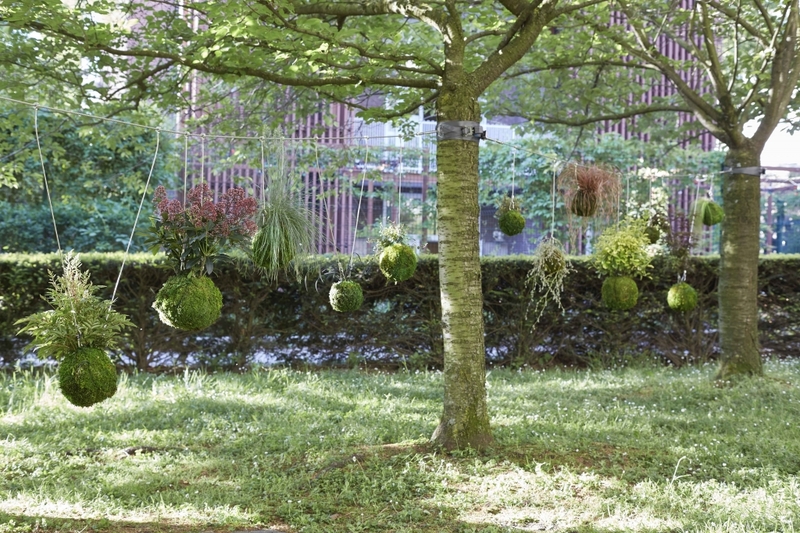 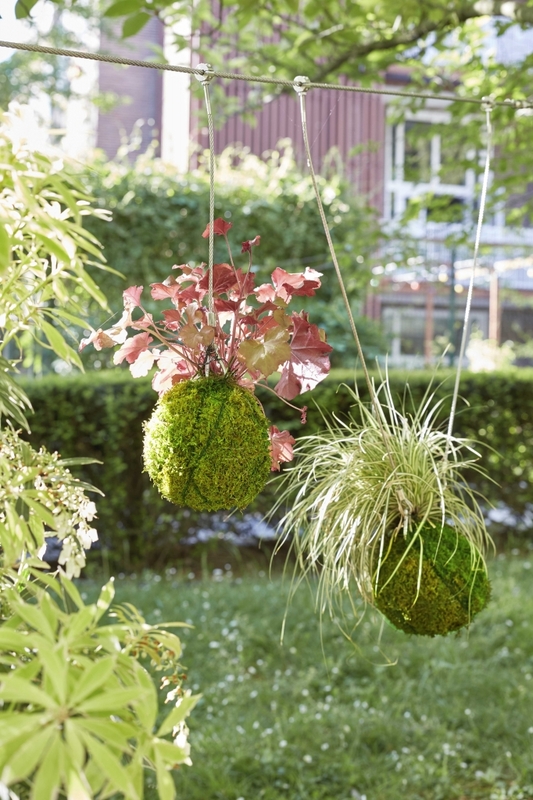 This floral arrangement is inspired by the contemporary Japanese practice of the Kokedama (from 苔玉translating as “moss ball”). 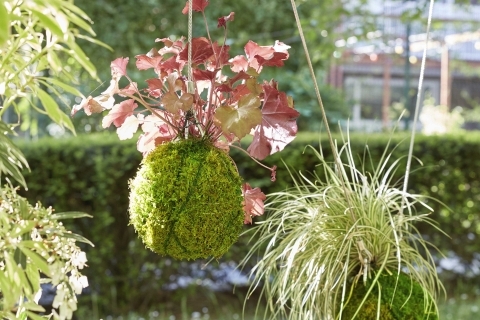 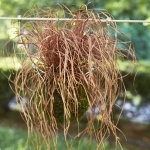 It consists of removing a plant from its container, surrounding its root system in a soil ball, and wrapping the whole with a moss carpet. 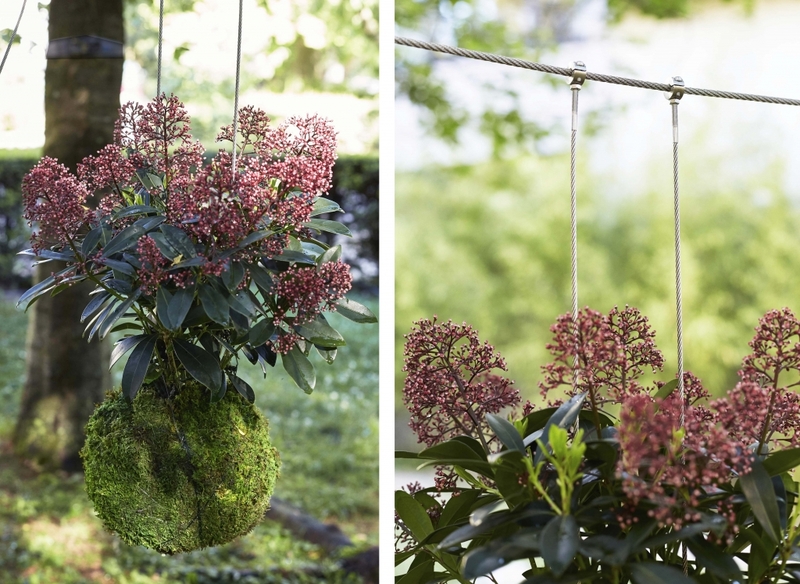 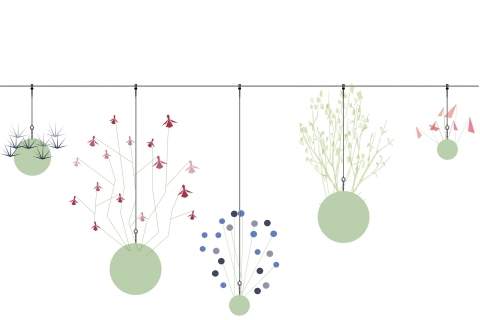 This technique allows the onlooker to get closer from a selected plant, easing up the observation of a bloom, the delicate shape of a leave, or even the texture of a twig. 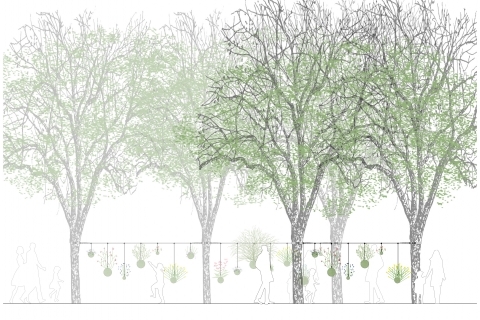 The installation is composed of a curiosity cabinet of various plants with a diversity of colours and shapes, sometimes straight and sometimes twisted, favouring unconventional beauty. 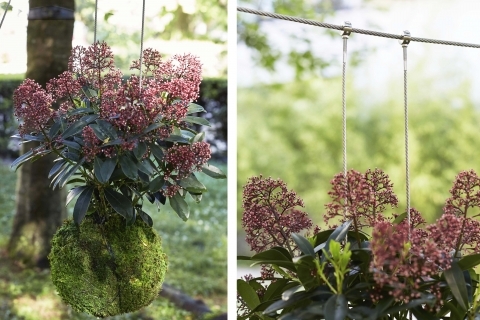 The colour palette create a gradient from the burgundy blossoms of the Japanese Skimmia, the pink leaves of the coral Bells, the yellow one’s of the Japanese Spindle and the white petals of the chrysanthemum. 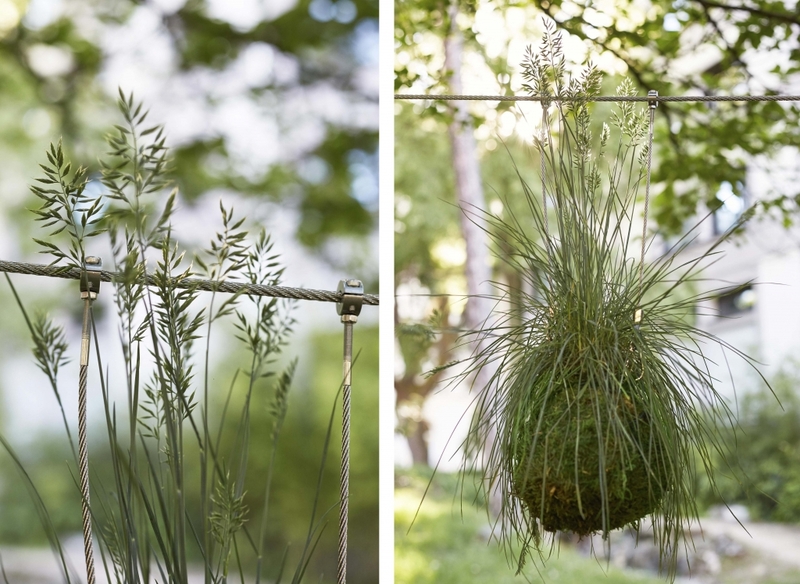 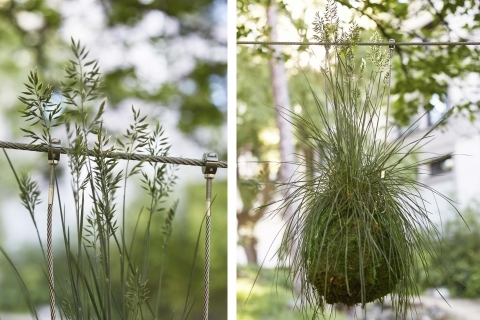 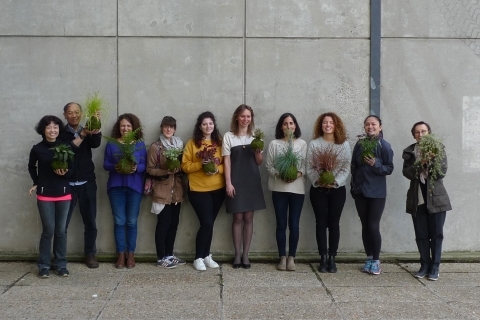 The grasses hold an array of leaves with a diversity of features: hanging for the Feathergrass, frizzy for the red hook Sedge, or erected for the blue Fescue. 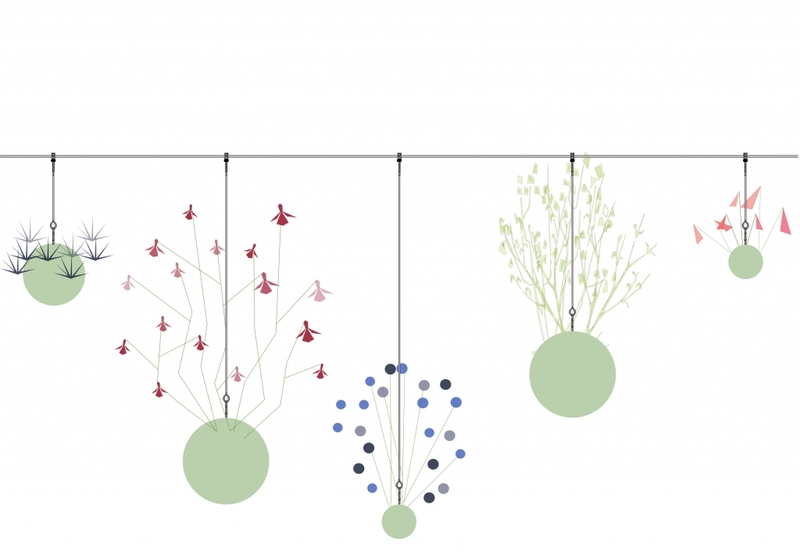 The project is part of the garden festival « Jardins du monde en mouvement ». 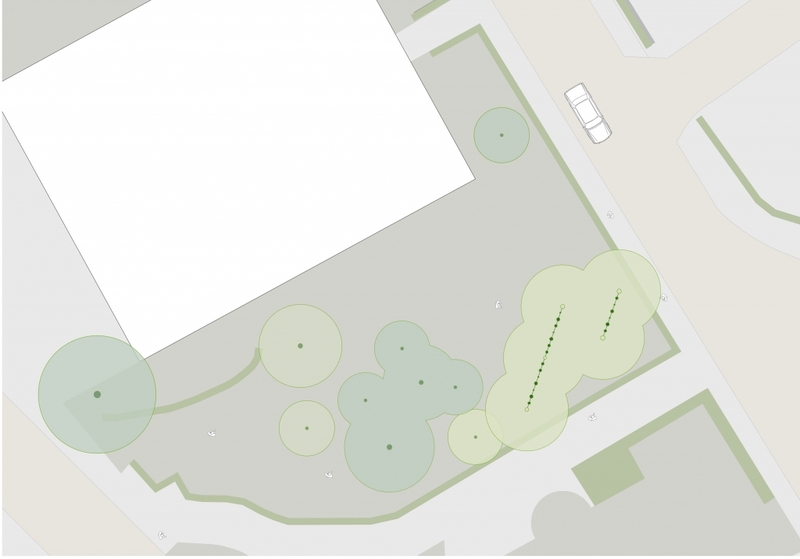 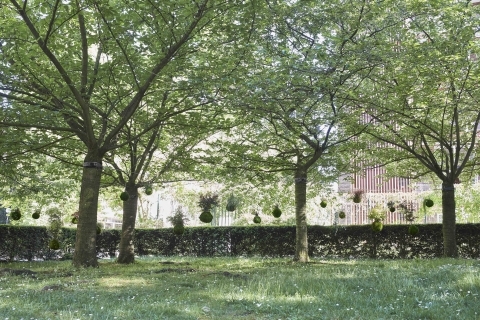 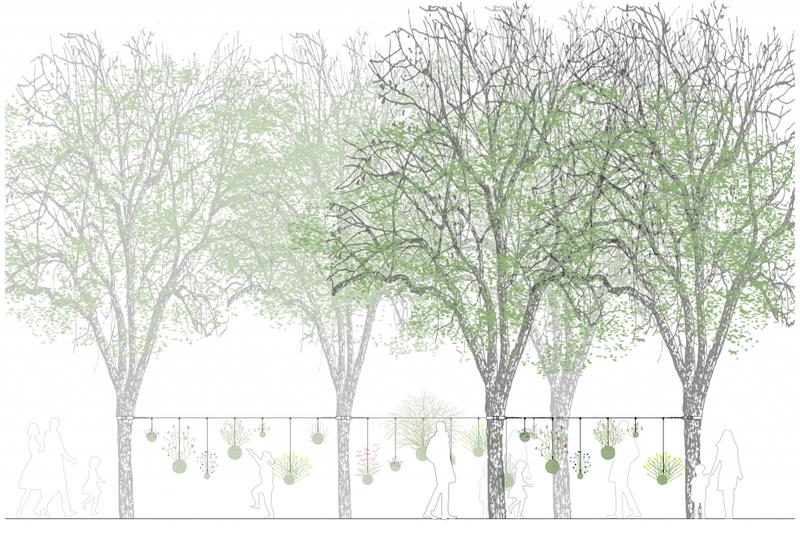 It gives the opportunity to young landscape architects to create an installation in the park of the Cité Internationale, which hosts researchers, students, and artists from over 140 nationalities within 40 houses located in a park of 34 hectares within Paris. 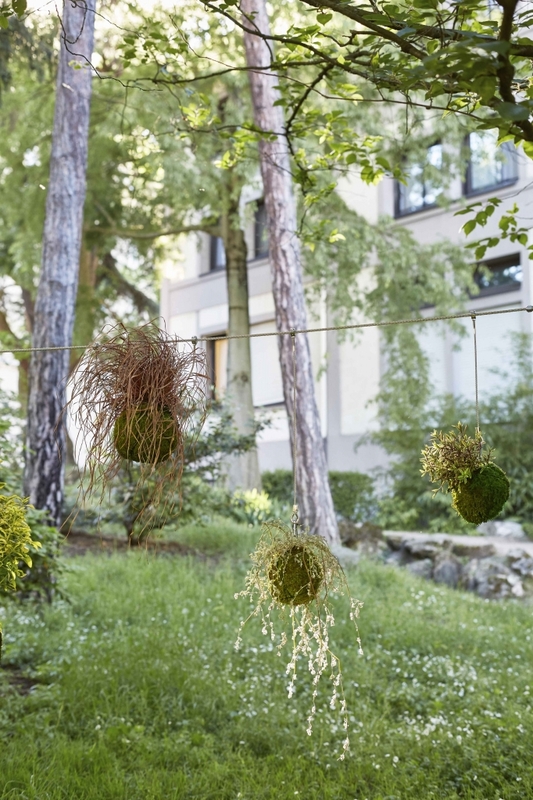 The hanging garden was realised in collaboration with the students of the Cité, during a residency at the Japanese House completed in spring 2018.